Esther Saidi former Girl Child Network Zimbabwe beneficiary who is at a top USA University is the one who was selected to attend Fest Africa, Maryland USA award night which for the first time gives Honours 2012 Award to Betty Makoni for outstanding contribution as an African to the Non-profit service industry, with Girl Child Network Worldwide. 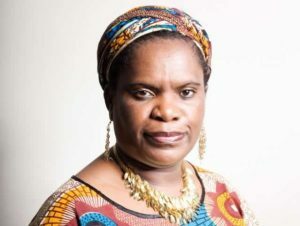 Due to her busy schedule Betty Makoni would not join other four awardees at Fest Africa on 12 August 2012 and so Esther had to deliver a speech on behalf of Betty Makoni. Below is the speech and this is the first to be delivered by a beneficiary of Girl Child Network. I am truly humbled and honoured to be here to receive this award for Betty Makoni. Indeed, many of you may already know how remarkable a woman she is and what she is doing to rescue, educate and empower not only girls who would have fallen victim to the many atrocities perpetrated against them in their place of home, school, and neighbourhoods; but also whole communities. Betty has touched the lives of many and helped them heal through different mediums regardless of location and or socio-economic and political status. Betty has operated in all five continents and inspired generations and many up-and-coming social entrepreneurs and philanthropists. She has managed to stand up against gender discrimination and helped bridge the gap between the haves and have not’s so that each has a better shot at realizing their dreams. Through her relentless fundraising activities, she has spent tireless nights to ensure that that one girl who is struggling to get a meal a day has something to eat. She has made it possible for many girls to go to school and complete their education, she has managed to make sure that that one girl with no shoes and tattered clothes has something to wear and regain her confidence to claim her rightful place in the community, not as a victim but a victor! and recognized by powerful organizations and fellowships such as Ashoka, CNN, African Goddess, Fest Africa to mention just a few. And why do I say this you may ask? And my answer to you is, Betty Makoni never discloses who she has helped, how and why for she does what she does not for fame but out of her selfless spirit. I say so because I am one of the thousands of girls and women she has helped and I want to share my story because it resembles so many other stories you will hear about her and what she has done. I first met Betty Makoni when I was 12 years of age. I vividly remember writing my middle school examinations and passing them extremely well. I also remember being happy and sad at that very time. Happy that I had accomplished one of my goal and sad because the beginning was about to be the end for me, for the story was always the same, not enough finances to attend high school, it had become a known inculcated mantra in my family, one that I refused and denied to grasp. I was stressed and depressed because I really wanted to continue with my education, yet my grandmother could not afford. I could not blame her for not being able to send me to school so I could further my education, for my father had passed away when I was too young to remember and as for my mother, I never knew her, she abandoned me when I was only three months old! My grandmother was my only hope; she was both my mother and father in addition to being grandmother. I spent days drowned in my sorrow, weeping night and day because I felt there was no hope left for me in this world. I had always dreamt of escaping poverty, owning my own little bed and wearing a suit everyday going to work. I could stand having seen dreams being shuttered in my face. I was broken, broken in spirit and at heart. I tried to weigh my options, but they were all at odds, I couldn’t make enough money vending candy and vegetables on the street to pay my tuition and neither could I get a decent job without a high school diploma. By now schools were about to commence and still, I had not enough money to enrol. My octogenarian grandmother got really sick because she was stressed; stressed because she was blaming herself for being poor, for not being able to financially support me and my brother and above all, for watching my dreams fading into the darkness, she knew she would never be able to mend the pieces of my broken heart, all she wanted was escape it all, perhaps escape this She did not know how to express her heartache and heartfelt sorry and in the end she also drowned in her miseries. But Ladies and gentlemen, someone, somewhere somehow heard about it all. So determined and eager to rescue me was she! So spirited to touch yet another life, restore faith and bestow honour and pride in yet another girl she had neither known nor met was she that she drove for hours, journeying into the unknown, setting foot were she had never been! That person was Betty Makoni. She became my hope, my light. I vividly remember the day I met her, I had just come back from collecting firewood to make lunch for my ailing grandmother. My then former middle school Principal came to our home with Betty Makoni, need I mention that never seen her before. She passionately introduced herself and told us that everything would be ok, that she was here to help me pursue my educational goals! Those words were like magic to my ears, I could hardly believe it. I thought I had misunderstood what she had said. The logic didn’t make sense! Why would a stranger, so elegantly dressed be concerned about helping a little girl dressed in tattered clothes? But as time elapsed, I began to grasp and decode her message, a different path awaited me. It was that very moment I saw my grandmother smiling and laughing and realized that for the first time in months, she seemed happy and lively. She was not hesitant to encourage me to realize my dreams. With her blessings, I drove away, away into my future with Betty Makoni for she became my hope, my guide, my mentor, my friend and most importantly, the mother I never had! Betty never distanced herself from me and neither did she distance herself from all the other girls. She took us into her home all the time, sometimes we would be like 20 of us and her family never once complained! Even recently when she got an award with CNN the first thing was not for her to gain personally. Through New Seasons program who contacted her after CNN she brought four of us here. We were not supposed to be lost but here I am at a top ten University here in Washington DC. Today, Betty continues to nurture and help all of us even as we one by one accomplish of our dreams, attending college, graduating and working! She is the reason why I am who I am today and I can look back and say that woman has a selfless big heart and indeed she is a beacon of light to all of us, touching our lives in different ways and bestowing and renewing hope to one a girl regardless of distance and location. Now before I sit ladies and gentlemen, this year, on June 22nd, Betty Makoni published her autobiography. In it, you will find many inspiring stories, some like mine, recounted by her for the first time in over a decade. I need not mention that this is the only place you will find those stories. Through the pages, you will also get to know Betty Makoni, her personal life story from childhood, to university, to founding Girl Child Network and most importantly amidst of it all, what inspired her to touch lives and what she has gone through with authorities and propagandists in her birth country, Zimbabwe to ensure that girls like myself realize their dreams. I thus invite you to order her autobiography tilted Never Again. She is also the author of yet another poetry book, A woman, once a girl, be sure to look for it in stores and online. Betty Makoni founded Girl Child Network in 1999 and today GCN has become a worldwide network heavily operating in three continents and with links in the other two. Be sure to visit our website at www.girlchildnetworkworldwide.org and remember, donations, in cash and in kind, are welcome. No donation is too small, 5 dollars will buy a girl a meal and $ 100 will send her to school to for a full semester to realize her dream.